It's something that fans have dreamed about for decades - even generations - and Hibs' prayers were finally answered on Saturday 21 May with a dramatic 3-2 victory over Rangers in the Scottish Cup final. After such a long wait, this was surely one of the most exhilarating occasions in the Easter Road club's history and the joy and jubilation that greeted the team's victory bus as it journeyed down to Leith the following day will live long in the memory. Huge congratulations to everyone at the club for bringing the Scottish Cup home to the Capital and bringing their 114 year wait to an end. Congratulations also to Edina Hibs Community Football Club Under 15's, who won the Scottish Cup against Hutchison Vale in an all Edinburgh final. Edina didn't have to wait quite as long for their victory as their older counterparts, having won twice in the past three years. It may feel like the Scottish Parliament Election is just behind us, but we're already counting down to the next big vote - the EU Referendum. It is thanks to our excellent team of elections staff that the vote on 5 May went so smoothly, and I'd like to pay tribute to their hard work and dedication throughout the build-up and on polling day. Now the team is gearing up again, with a matter of weeks until the EU Referendum, and I hope you are thinking about your own part. You must be registered to vote, and the deadline to do this is 7 June. Anyone who has moved house or changed name since last registering should update their details, and can find out how to do this, and where and when to vote, on our website. Of course, one outcome from that long May night in Ingliston was particularly successful for one of my council colleagues, Jeremy Balfour, who was elected on to the Lothian List as a Conservative MSP. Congratulations, Jeremy. Three of our schools - Oxgangs, St Peters and Braidburn - welcomed back pupils this week, which is obviously a great relief to affected parents and staff. Our priority has always been the safety of pupils and staff, which is why we havepublished letters from ESP and their contractors on our website confirming the schools are ready to reopen. I am sure parents will take comfort from the level of rigour which we have applied and insisted upon throughout. We will continue to keep parents informed about the remaining programme of works. The latest survey of UK tram services has revealed that Edinburgh Trams' customers are 'very satisfied' with the operator - great news for the service, which is clearly going from strength to strength. This result, which showed satisfaction with Edinburgh Trams as 5% higher than the UK tram operator average, is testament to the hard work of Edinburgh Trams' staff, who should be proud to have achieved such impressive passenger satisfaction ratings each year. There is no doubt the public have taken to the tram service since its launch in 2014, with well over 5 million customers boarding in the last calendar year. Look out for free WiFi in the city centre this summer. We have just agreed to a 10-year concession contract with intechnologyWiFi, which includes improved mobile coverage. Residents and visitors will be able to enjoy free, high-speed internet connectivity, 24/7. This contract is central to our plans for growing the city's economy and encouraging residents and visitors to stay longer and increase their spend. Users will also benefit from savings to their mobile data plans, by being able to access the internet at no cost, and without restrictions on time, while on the go. intechnologyWiFi is installing and operating the WiFi network at no cost to the council, and has been granted exclusive use of our street furniture and properties to help with this process. A map of the planned coverage area and FAQs about the service is available from our website. Edinburgh is the first city in Scotland implementing a citywide 20mph network. 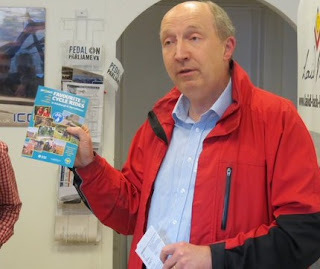 Residents have expressed support for the new limit, which aims to reduce the risk and severity of road collisions, encourage travel on foot and by bike and help make the city's streets more people-friendly. Approximately 50% of Edinburgh's residential streets are already in 20mph zones. The project extends the 20mph speed limit to the city centre, main shopping streets and residential areas while retaining a strategic network of roads at 30mph and 40mph. The phased roll out of the 20mph network is planned over 18 months. Phase one covers the city centre and rural west Edinburgh, with the installation of signs and lines commencing at the beginning of June. The new speed limit for this first phase becomes effective on 31 July. A map of the 20mph network and implementation timetable is available from our website. Almost a century ago, close to 9,000 British and German lives were lost at sea during the biggest maritime clash of WW1 - the Battle of Jutland. Edinburgh and Fife will tomorrow (28 May) come together to mark the centenary of this tragic chapter in Scottish history. The Lord Provost will join HRH The Princess Royal, the First Minister, veterans and sea cadets at a remembrance service in South Queensferry Scottish War Graves Commission's Cemetery where 40 casualties from the battle are commemorated or buried. While it will certainly be a time for reflection, the communities will ensure the day is also a celebration of the people of Queensferry and Rosyth. You can head along to the Hawes Pier to take in a naval parade, beat the retreat and to see a brightly painted dazzle ship anchored in the Forth. Find out more at ww100.com. With just four weeks to go until the EU Referendum, citizens are being urged to ensure they know the facts about the vote. On Thursday, 23 June, UK electors will be asked whether the United Kingdom should remain a member of the European Union or leave. In order to vote in the referendum, individuals must be registered to vote, be over the age of 18 on 23 June 2016 and be a British or Irish citizen living in the UK. Commonwealth citizens living in the UK who have leave to remain in the UK are also eligible to take part, as are British citizens living overseas if they were registered to vote in the UK in the last 15 years. The deadline for registering to vote in the EU Referendum is Tuesday, 7 June. 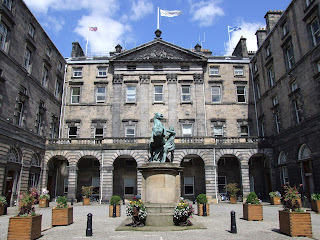 Andrew Kerr, Chief Executive of the City of Edinburgh Council and Counting Officer for Edinburgh, said: “Just weeks after electing a new Scottish Parliament we face another important decision as a nation, and I hope as many people as possible join the democratic process to make their voices heard. Those already registered to vote should have received a poll card in the last few days. Anyone registered to vote in the Scottish Parliament Election will still be registered to vote in the EU Referendum, if eligible, unless they have changed their name or address since that election. People who have moved house or changed their name since the last time they registered should update their details online(external link) or by post. Find out more about how, when and where to vote online. Research(external link) shows that 70% of lesbian, gay and bisexual young people experience homophobic, or biphobic, bullying in schools in Scotland. Transgender young people face an even harder time with 77% experiencing homophobic, biphobic or transphobic bullying in Scottish schools. 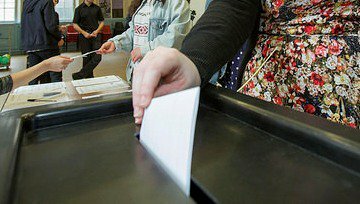 WITHOUT the thousands of staff turning out at polling stations and counts, voting would not go as smoothly, says Andrew Burns. ALL of Scotland’s new MSPs are now sworn in, and Holyrood has started its fifth term. But before we reach the opening First Minister’s Questions of the new session, I think it’s worth pausing, putting party politics to one side, and reflecting on the sheer scale of what has just been undertaken – all relatively smoothly – across the country. I don’t have the exact details for every part of Scotland, but here in Edinburgh just under 60 per cent of the 366,000 registered voters cast a vote – some 70,000 of them being registered for a postal vote. Those voters were able to attend one of 145 buildings that were used as polling places, spread right across the city. Within those 145 building were 356 polling stations, each station having two ballot boxes for the respective constituency and regional ballot papers. Among the equipment used across the polling places during election day were: about 700 yellow Post-it notes, 500 black bin bags, 145 sets of pliers and 1068 fingerettes (the rubber thimbles use by counters). 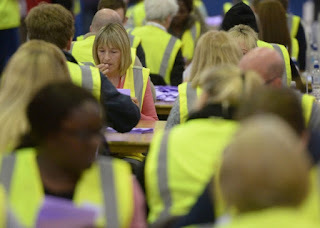 And during Thursday May 5, from 7am through to 10pm, those polling places were operated by more than 1000 polling staff – and once the polls closed, a further 1200 people were out at the Highland Hall at the Royal Highland Centre to ensure the ballot papers were tallied and counted – the Highland Hall counting area was actually larger than the size of a professional football pitch. Many readers may well be aware that during that count process, dozens of members of political parties from across the political spectrum carefully scrutinise what goes on – physically, looking right over the shoulders of the counting staff. It’s a process which, as I’m sure you can imagine, does occasionally get tense. Yet, in the numerous election counts I’ve attend throughout my time in Edinburgh, I have never once heard a single complaint from a member of the counting staff about the intense scrutiny they come under. Indeed, I’m endlessly amazed at how calm, collected and polite they all are at 2am, when someone asks them a vague or outlandish question about the process they are undertaking. At the end of it all, the results have to be agreed with the numerous political parties taking part; they have to be announced publicly to the waiting media; and – crucially – the whole process has to be seen as fair, ­thorough and professional – and the result thus accepted by all concerned in the race. Frankly, I’m amazed that year after election year that outcome is successfully achieved; and a clear result, which is accepted as fair by all concerned, is arrived at just a few hours after the polling places close. I, for one, think we should give huge thanks to the thousands of individuals who make this whole election process run so smoothly. The scale of what they undertake – both on polling day, and throughout the overnight count – is really quite remarkable, and we take it for granted at our democratic peril. And, of course, while the Holyrood election may now be over, the same public servants, in the main, are now planning the detail of our next major electoral event: the referendum on Britain’s membership of the European Union, which takes places on Thursday June 23. If you have already registered to vote – great. If not, you have until Tuesday June 7 to get on the electoral register in order to cast your referendum ballot. That ballot will be processed and counted by the same thousands of dedicated staff who have just ensured such a smooth Holyrood election. Regardless of our politics, they really do deserve our thanks. Oxgangs Primary, St Peter’s Primary and Braidburn Schools will reopen their doors to pupils and staff on Tuesday (24 May), in line with the programme published by the Council last month. The schools had been temporarily closed whilst remedial works were carried out by the Edinburgh Schools Partnership (ESP) and their contractors. This has now been completed and all the necessary documentation has been closely scrutinised by the independent structural engineers appointed by the Council. Five more schools are due to reopen next month – Firrhill High on 6 June, Royal High and Drummond Community High on 20 June and Broomhouse Primary and St Joseph’s Primary on 27 June. The remainder are on course to open for the start of the new term in August. 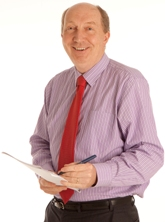 Council leader Andrew Burns said: “I am sure the parents at these three schools will be relieved to see their children back at their own schools next week. It has been a very difficult time for everyone and I want to thank parents for their patience and understanding. “Staff at the schools and across the Council have pulled out all the stops to ensure our young people’s education could continue and they deserve praise for their commitment and flexibility. “Our priority has always been the safety of our pupils and staff and we have insisted that Edinburgh Schools Partnership and their contractors take a belt and braces approach to these works and associated paperwork. This approach has also been reviewed by an independent expert on behalf of the Council. “I hope parents will take comfort from the level of rigour we have applied and insisted upon throughout. Correspondence from ESP and their contractors providing safety assurances to the Council will be published on the Council website on Monday morning. "Edinburgh’s fast, furious and tactical race will be staged on a new and extremely challenging 1.6-kilometre circuit that includes cobbles, a gruelling hill climb and hairpin bends. The 500 metre cobbled climb up Victoria Street, which was used when the series last came to the city in 2014, will again form the centre piece of the race. In 2016 the riders will turn left at the top of the street to take in the Lawnmarket and a fast downhill section on Johnston Terrace below Edinburgh Castle, before returning to the Grassmarket via West Port." 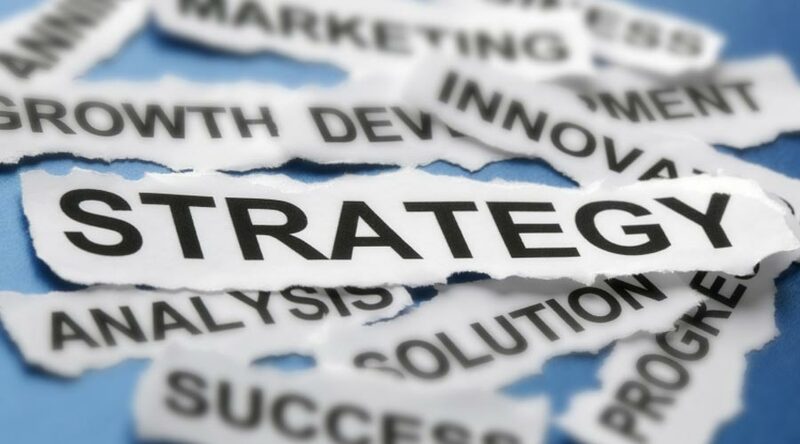 All of the Reports are now published for May's "Corporate Policy and Strategy" Committee; it meets at 10am, next Tuesday 17th May.